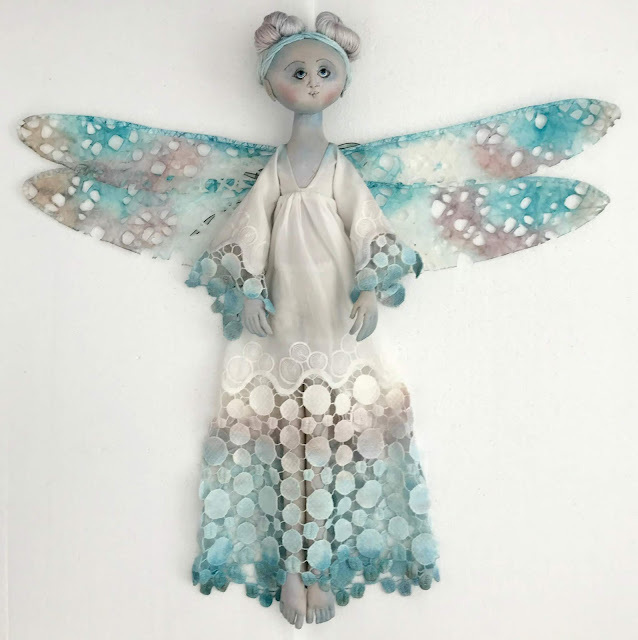 Leslie's workshops provide detailed teaching of techniques that she has created through her many years of creating unique class dolls and original art pieces that are held in collections world-wide. 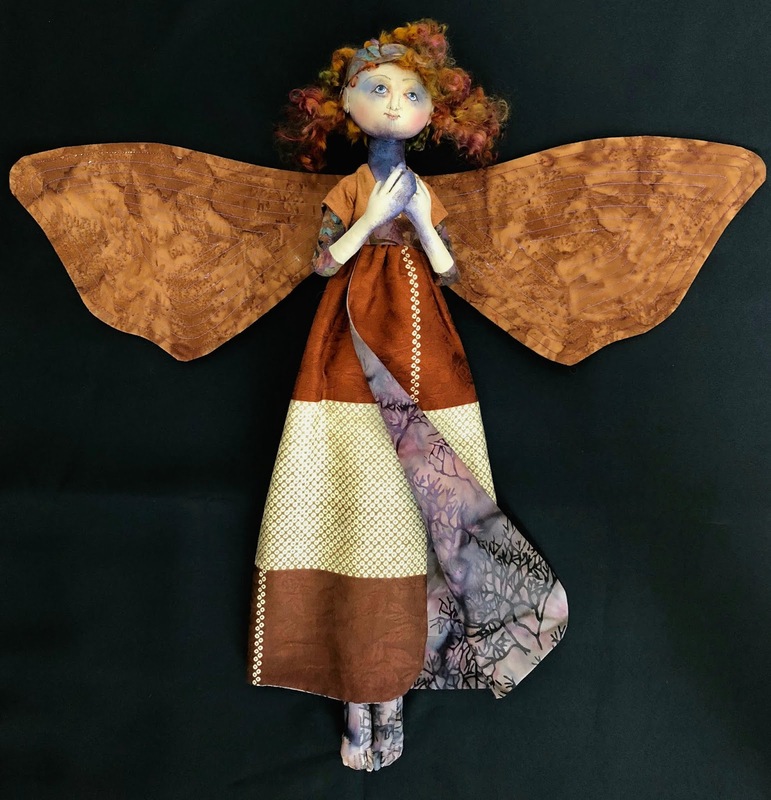 Leslie has studied the Asian culture in symbolism for over 18 years and is excited to share this beautiful thoughtful knowledge with you, her students, so they to can create their own beautiful art.. She is an artist member of the NIADA. Leslie is available for Private Lessons. SIGN UP HERE ONLINE: coming soon!!! If you have been following me you know that I am enthralled with winged creatures…taking flight. As many of you may know, my art is not only about the beautiful techniques but also of the symbolism. I love the Moth for she has great faith in all around her and most importantly…in herself! "The Moth never questions provision. In class, I will not only be discussing various techniques but also my philosophy and symbolism to add another “layer” to your experience with me. I will show you how to create needlesculpt her face insetting eyes that we will hand paint. Her face, neck, and arms will be softly variegated using various paints. To compliment her painted body, we will piece together beautiful fabrics of your choice! This is a wonderful time to use those favorite fabrics that we all have been saving for that precious project! I will also share with you my signature top-stitching found in many of my original pieces! 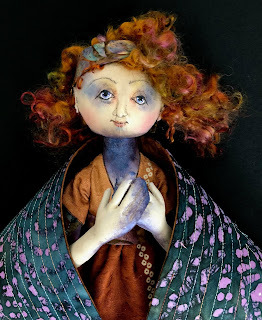 This class is best suited for intermediate-advanced-master dollmakers. I am excited to bring this art piece to you! Description of class: Come join Leslie to create Ling Li Hua (Delicate Pearl Blossom) or her sister Chun Woo (Spring Rain). 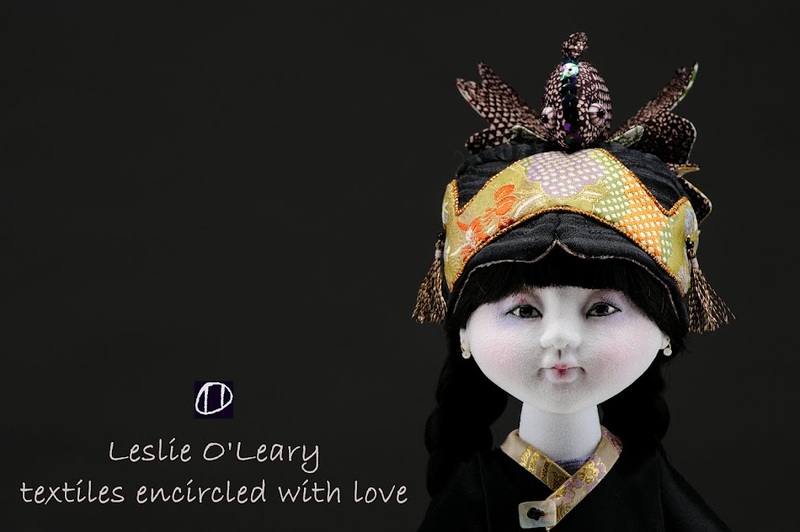 Together with Leslie learn using detailed instructions on how to create a beautiful Asian-influenced doll. Our focus will be on needle sculpting a head, inserting your own hand painted eyes and adding an overlay. Learn how to create armatures in the body for a free standing doll. Sewing, stuffing and color balance with fabrics will also be explored. As many of you may know, my art is not only about the beautiful techniques but also of the symbolism. The Dragonfly has shown itself to me so many times, I finally realized I had better create one! "The Dragonfly is an ancient and powerful creature. It symbolizes going past self-created illusions that limit our growing and changing. Dragonflies are reminders that we are light and can reflect the light in powerful ways if we choose to do so." In class, I will show you how to create needlesculpt her face adding inset eyes that we will hand paint. Her body will be illuminated using various paints. To compliment her painted body, we will hand-dye her dress and her wings! Her hair will be optional for you to dye or purchase a lovely pre-dyed yarn. 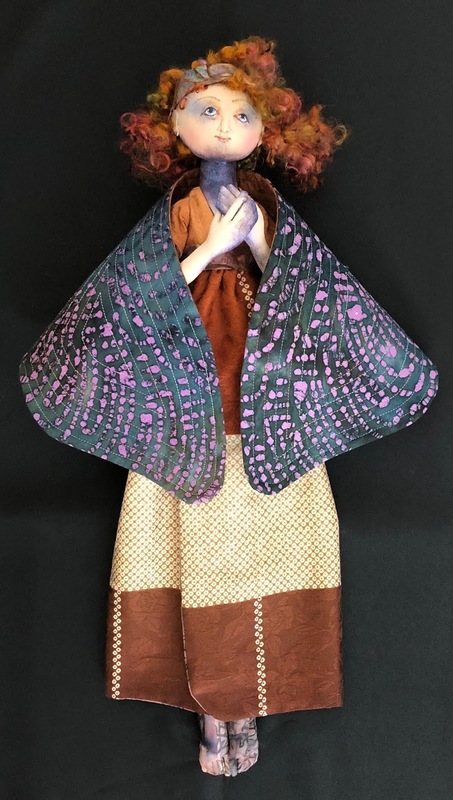 This class is best suited for intermediate-advanced to master dollmakers.